I think this could be a good card for a guy... maybe Valentine's Day? What do you think? I'm entering this in the Anything Goes Challenge at Papertake Weekly and the Anything Goes Challenge at Creatalicious Challenges. 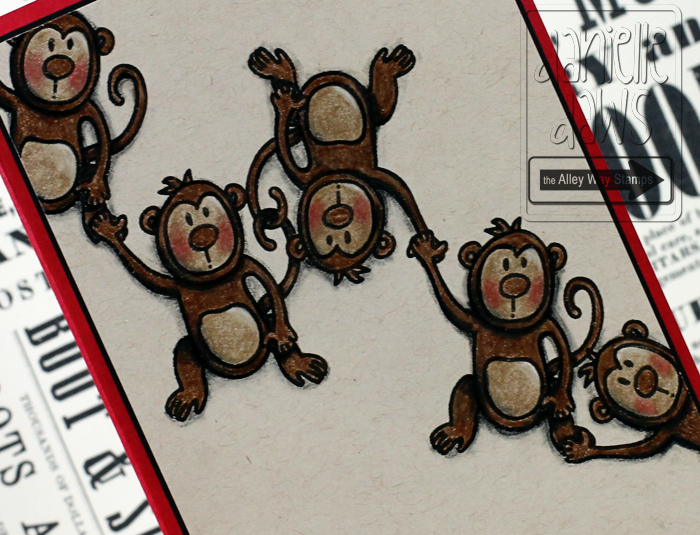 I'm really loving these stamps and these monkeys are too cute! Love it! This guy makes me laugh! Great card! I hope you win because this is awesome! 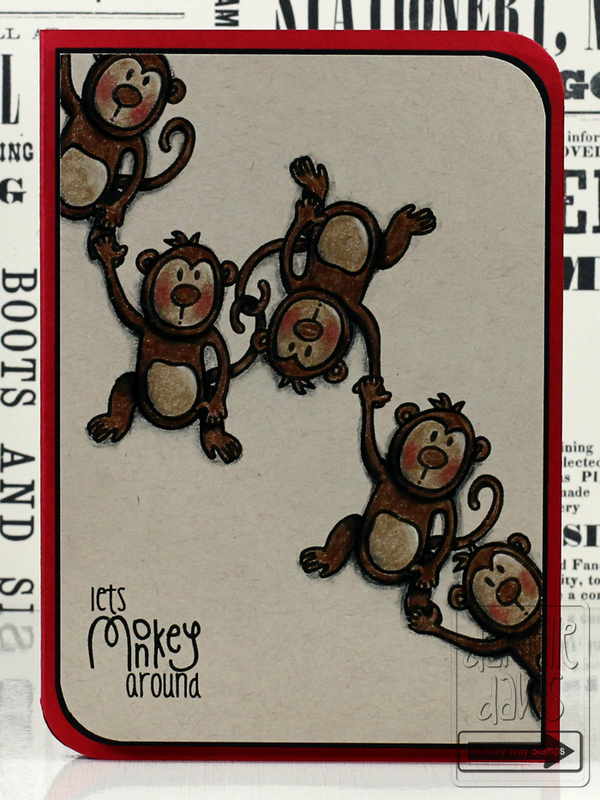 Love all those monkeys!! Fabulous coloring as usual!